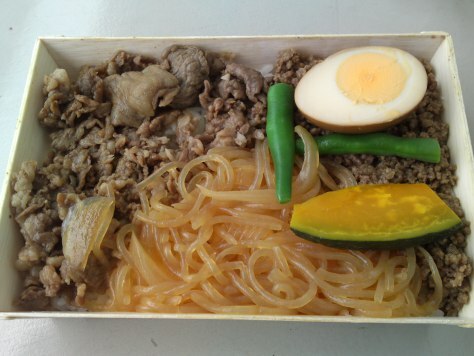 Ekiben: The Railroads Bento of Japan! 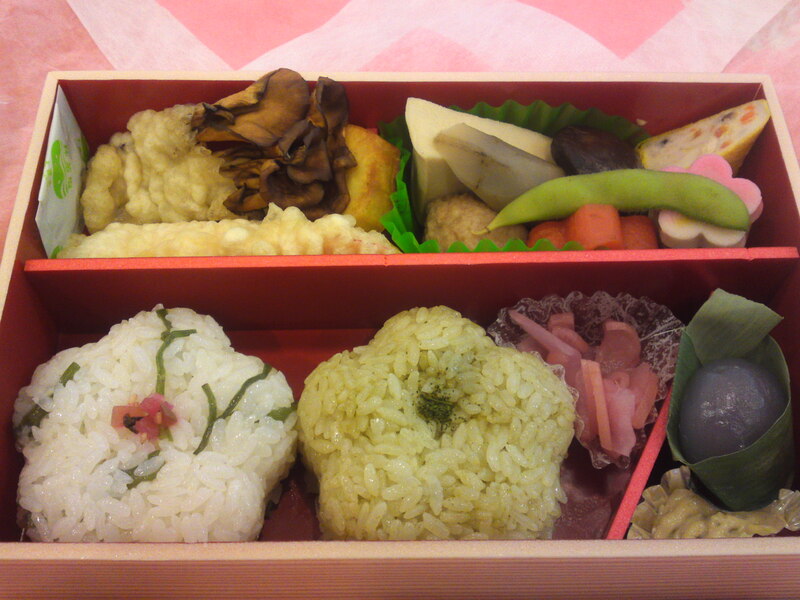 Ekiben (駅弁) is the abbreviation of Eki/駅 for Station and Bento/弁当 for packed lunch. 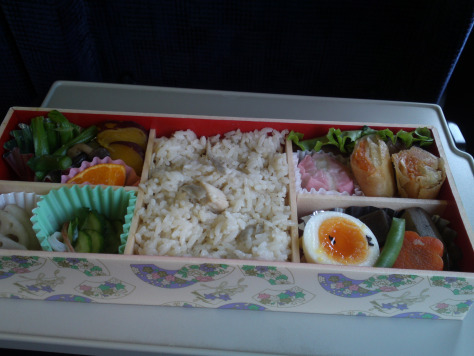 Ekiben is almost as old as railroads and railways in Japan and have been , with highs and lows, a feature at important stations all over the country. 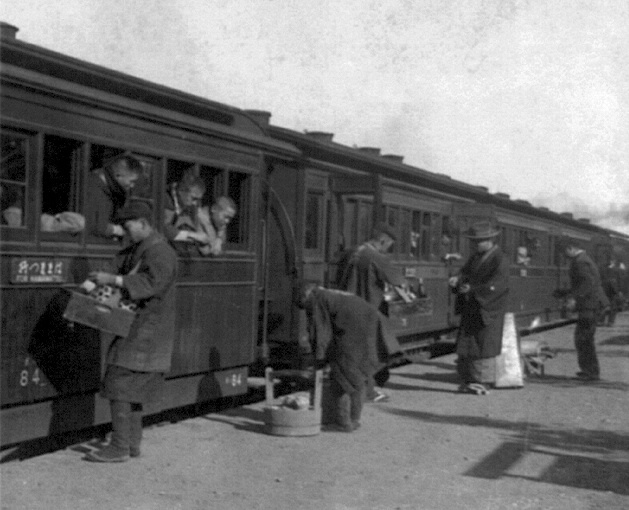 Ekiben being sold to travelers in 1902! 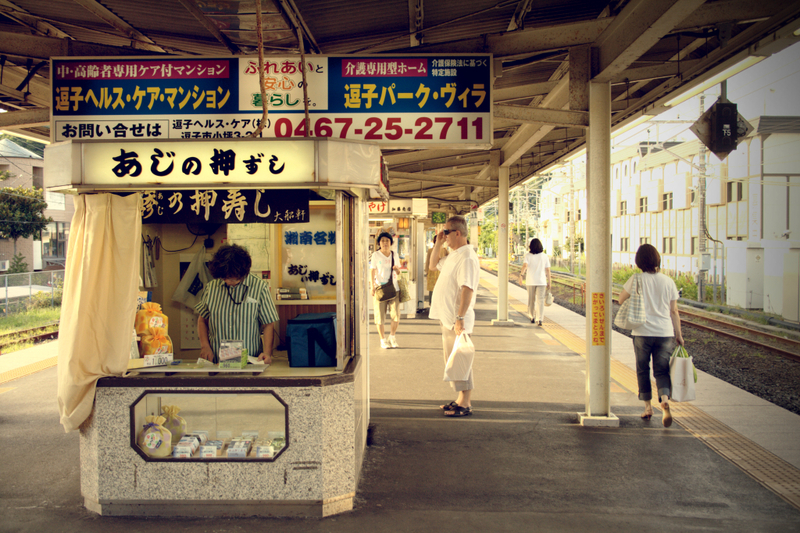 The very first ekiben was officially sold (actually two kinds of them) at Utusnomiya Station in Tochigi Prefecture in 1885, although food had been allowed to be sold at stations and to trains since 1877 in Kobe and Osaka Cities. 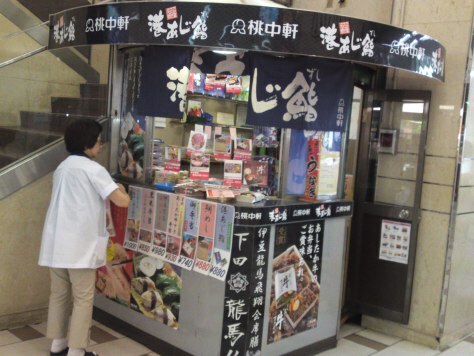 Traditional ekiben booth inside Ofuna Station. There is even a complete (in Japanese only) Ekiben Homepage in this country! These days they are sold either at shops and stands located the entrance to the tracks, inside station markets or at stands on the very rail platforms although this is far from being a general rule. It is always a better idea to buy them before going through the gate to the platforms. 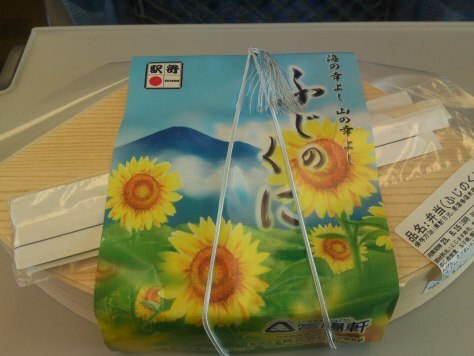 Shizuoka Prefecture has the third largest number of bentos on record (161 in 2015) after Tokyo and Kanagawa Perefecture as it has the largest number of Shinkansen/bullet train stations (6) in Japan and t takes no less than 3 hours to cross Shizuoka Prefecture from Atamait o Shinjohara, notwithstanding the the lines crisscrossing the rest of the Prefecture, especially Izu Peninsula! 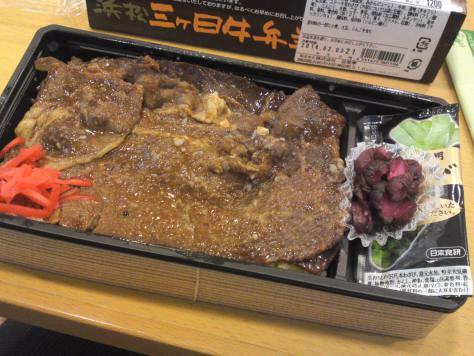 Hamamatsu Mikkabi Beef Ekiben in Kakegawa Station! Like the rest of Japan, this is the best way for travelers and tourists to discover the local gastronomy, be that of a Prefecture, region city or even village! 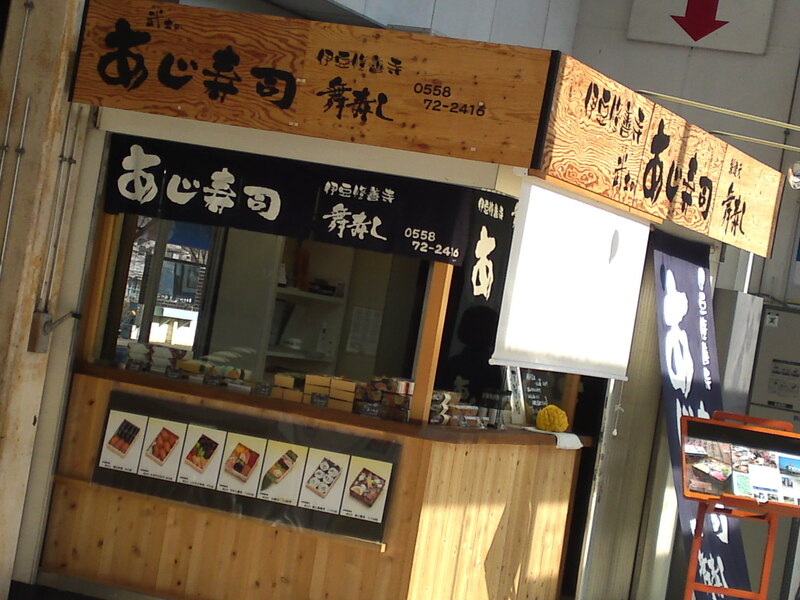 Ekiben stand in front of the entrance gate in Numazu City! 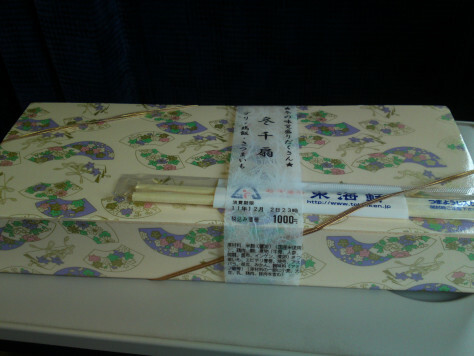 For example Numazu City if famous for its harbor and fish but there is most consistent fare nearby! 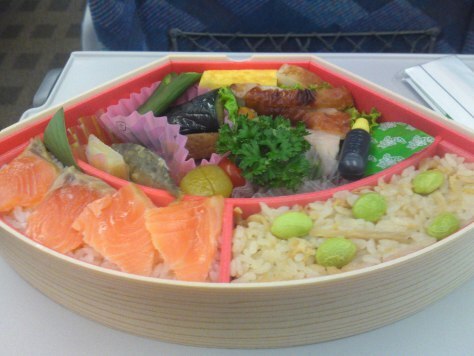 Although Mishima City is away from the sea it does offer a tasty Chirashi Zushi (Decoration Sushi) at its station! 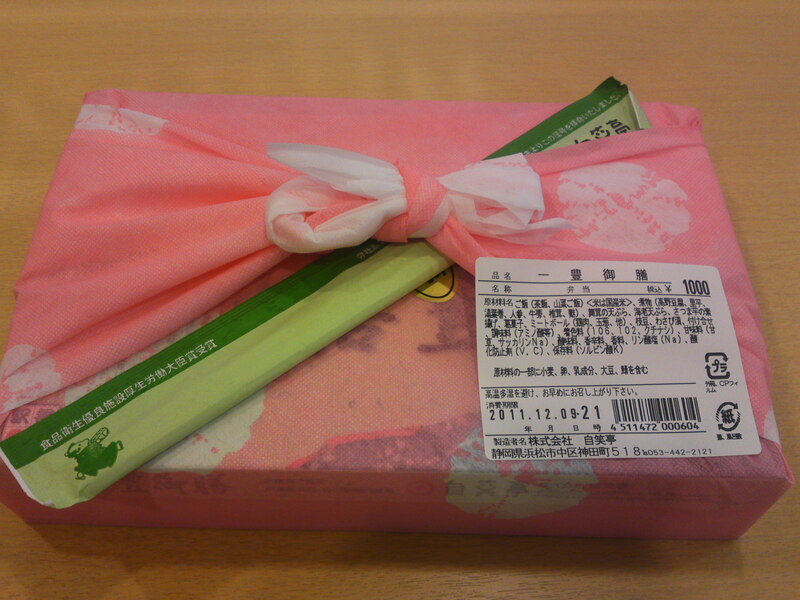 Some ekiben come in truly cute wrappings for collectors as the above “Kazutoyo Ekiben” sold at Kakegawa Station! And the contents are as beautiful! 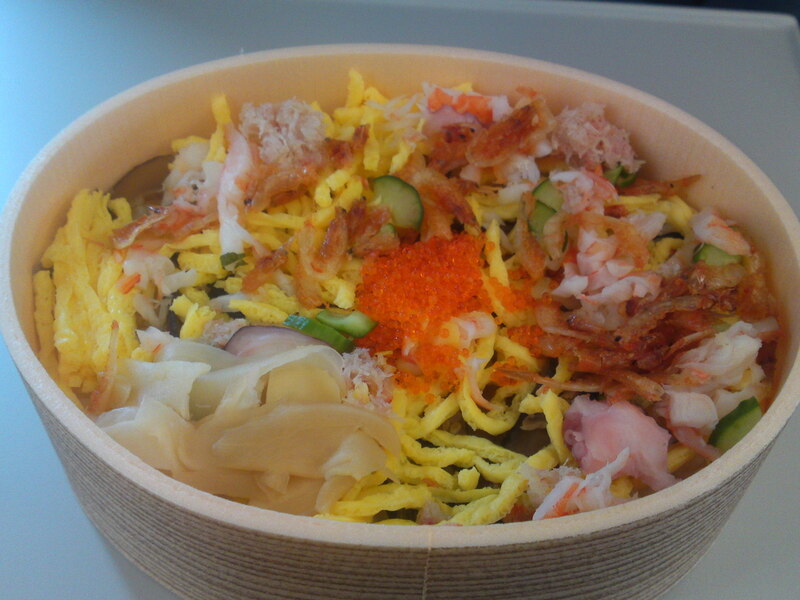 Some stations like Shizuoka City also have limited seasonal ekiben like this Winter “Chisen Fuyu Ekiben”! 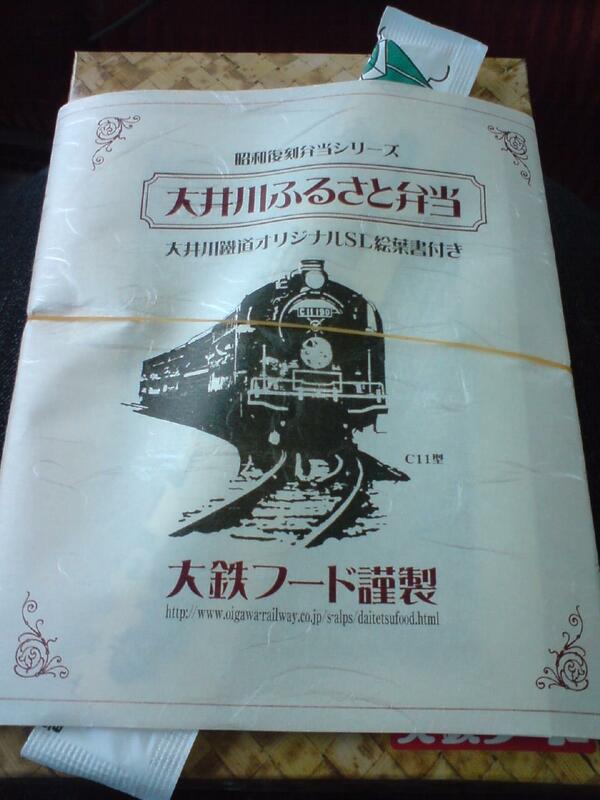 I savored inside the train to Tokyo! Even the Shizuoka Prefecture Tourist and Agricultural department promote themselves through ekiben like this “fuji no Kuni/Mount Fuji Land” in Shin Fuji Station! 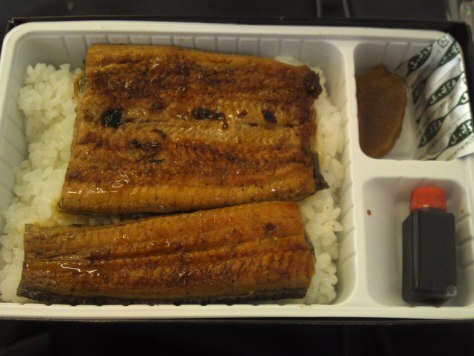 Broiled eels are a specialty of Shizuoka Prefecture! 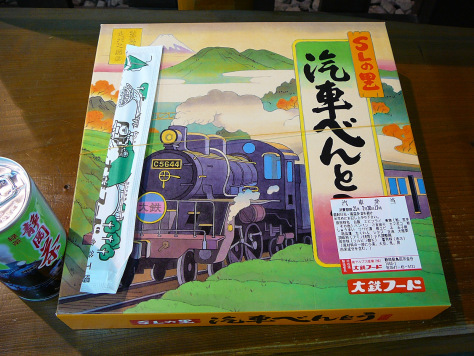 Don’t forget some of the labels, wrappings and boxes can easily become collector’s items such as the above Steam Locomotive Railway Ekiben you can buy at Shin Kanaya Station! 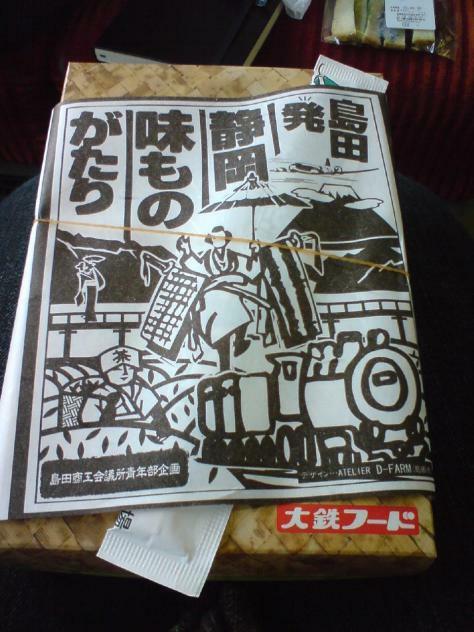 Another one at the same station depicting the Shimada Obi Festival! A third one colorful at the same station! 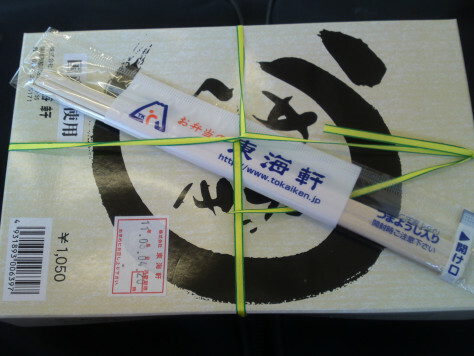 Containing a local product: green tea steamed rice! If one day you have the chance to get down at Shuzenji Station in the middle of Izu Peninsula, do not forget to visit this stand selling “Aji Sushi/Horse Mackerel Sushi” with real wasabi! 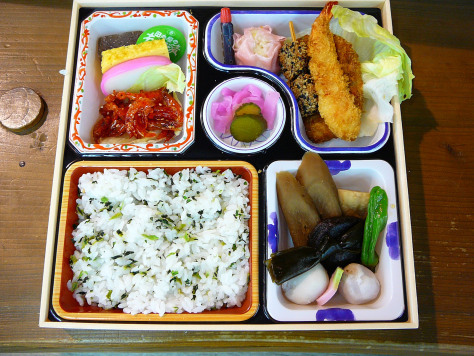 So you know what to sample next time you travel through Shizuoka and the rest of japan: an unending gastronomy travel! Previous PostManhole Covers In Shizuoka Prefecture 35 bis: New Commemorative Fire Hydrant Manhole Cover Being Installed in Shizuoka City!Next PostNishinomiya-Oibessan Shrine (西宮おいべっさん) in Shizuoka City!